‘Bloody Sunday’ ‘Bloody Sunday‘ refers to the shooting dead by the British Army of 13 civilans (and the wounding of another 14 people, one of whom later died) during a Civil Rights march in Derry. The Northern Ireland Civil Rights Association (NICRA) march against internment was meant to start at 2.00pm from the Creggan. The march left late (2.50pm approximately) from Central Drive in the Creggan Estate and took an indirect route towards the Bogside area of the city. People joined the march along its entire route. At approximately 3.55pm, away from the riot and also out of sight of the meeting, soldiers (believed to be a machine-gun platoon of Paratroopers) in a derelict building in William Street opened fire (shooting 5 rounds) and injured Damien Donaghy (15) and John Johnston (59). Both were treated for injuries and were taken to hospital (Johnston died on 16 June 1972). (Official Brigade Log). The soldiers of Support Company were under the command of Ted Loden, then a Major in the Parachute Regiment (and were the only soldiers to fire at the crowd from street level). At approximately 4.10pm soldiers of the Support Company of the 1st Battalion Parachute Regiment began to open fire on people in the area of Rossville Street Flats. By about 4.40pm the shooting ended with 13 people dead and a further 14 injured from gunshots. The shooting took place in four main places: the car park (courtyard) of Rossville Flats; the forecourt of Rossville Flats (between the Flats and Joseph Place); at the rubble and wire barricade on Rossville Street (between Rossville Flats and Glenfada Park); and in the area around Glenfada Park (between Glenfada Park and Abbey Park). According to British Army evidence 21 soldiers fired their weapons on ‘Bloody Sunday’ and shot 108 rounds in total. Francis Smith (28), a member of the Ulster Defence Association (UDA), was found shot dead in the Falls area of Belfast. He had been killed by the IRA. The Gardiner Report (Cmnd. 5847), which examined measures to deal with terrorism within the context of human rights and civil liberties, was published. The report recommended that special category status for paramilitary prisoners should be ended. The report also recommended that detention without trial be maintained but under the control of the Secretary of State. At the annual conference of the Social Democratic and Labour Party (SDLP) the delegates reaffirmed the party’s boycott of the Northern Ireland Assembly. 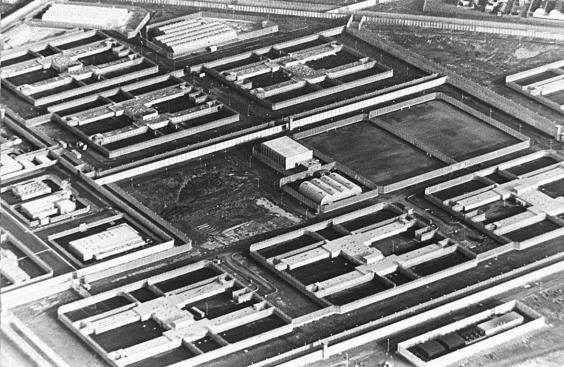 The Prison Governors’ Association and the Prison Officers Association both claimed that political interference in the running of the Maze Prison resulted in the mass escape on 25 September 1983. Nick Scott, then Minister for Prisons, rejected the allegations. 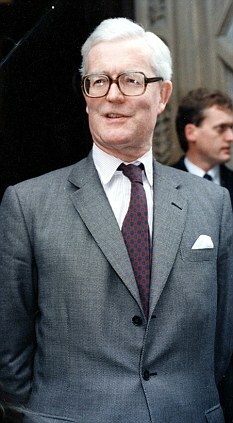 Douglas Hurd, then Secretary of State for Northern Ireland, dismissed demands for the disbandment of the Ulster Defence Regiment (UDR). Fianna Fáil (FF) said that it welcomed the comments of Harold McCusker, then deputy leader of the Ulster Unionist Party (UUP), who had suggested a conference of British, Irish, and Northern Ireland politicians to discuss the ‘totality of relationships’. There was a rally in Derry to commemorate the 21st anniversary of the killings on ‘Bloody Sunday’ (30 January 1972). Gino Gallagher (33), believed to be the Chief of Staff of the Irish National Liberation Army (INLA), was shot dead in a Social Security Office in the Falls Road, Belfast. Gerry Adams, then President of Sinn Féin (SF), held a meeting with Patrick Mayhew, then Secretary of State for Northern Ireland, at Stormont. John Hume, then leader of the Social Democratic and Labour Party (SDLP), met with John Major, then British Prime Minister, in Downing Street, London. North Report Peter North, then Chairman of the Independent Review of Parades and Marches, launched his report (The North Report) in Belfast and recommended the setting up of an independent commission to review contentious parades. Most Nationalists welcomed the Review but Unionists were against the main recommendations. Patrick Mayhew, then Secretary of State for Northern Ireland, announced that “further consultation” would have to be carried out by the Northern Ireland Office (NIO) before any decisions could be taken. Marjorie (Mo) Mowlam, then Labour Party Spokesperson on Northern Ireland, approved of the report. “We identify with all people who have suffered, of whatever race or religion or nation”. 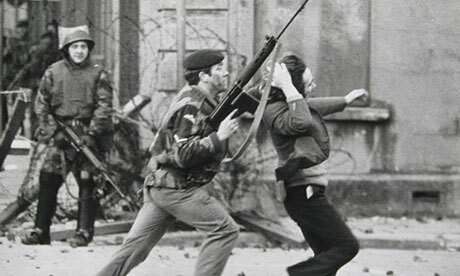 The Bloody Sunday Inquiry was adjourned until Monday – the Inquiry does not sit on the anniversary of the killings. David Ford, then leader of the Alliance Party of Northern Ireland (APNI), travelled to Downing Street, London, for a meeting with Tony Blair, then British Prime Minister. Ford was there to discuss potential reforms of the voting system used in the Northern Ireland Assembly. David Trimble (UUP), then First Minister, and Mark Durkan (SDLP), then Deputy First Minister, travelled to Brussels for a two day visit. During their first day they opened a new Northern Ireland Executive office in the city which was established to lobby on behalf of Northern Ireland within the European Parliament. The cost of the office, which was higher than envisaged, came in for criticism. The set up cost was £300,000 and the annual running cost is estimated at £500,000. The Irish National Liberation Army denied that it had threatened Protestant community workers in Glenbryn, north Belfast. The denial was issued through the Irish Republican Socialist Party (IRSP). It described the threats as bogus. Died four months after being shot by sniper during street disturbances, Abbey Street, Bogside, Derry. He was wounded on 2 September 1971. Shot during anti-internment march in the vicinity of Rossville Street, Bogside, Derry. Shot during anti-internment march in the vicinity of Rossville Street, Bogside, Derry. He died 16 June 1972. Found shot in entry, off Rodney Parade, Falls, Belfast. Shot at his home, Gosford Place, off McClure Street, Belfast. Alleged informer. Killed in bomb attack on Klondyke Bar, Sandy Row, Belfast. Stabbed to death, outside North Star Bar, North Queen Street, Tiger’s Bay, Belfast. Ulster Defence Association (UDA) / Ulster Volunteer Force (UVF) feud. Shot while travelling in stolen car, Springfield Road, Belfast. Shot outside newsagent’s shop, while on way to work, Longstone Street, Lisburn, County Antrim.